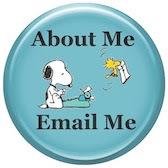 Publishers synopsis: "Sparky stars a pet who has more to offer than meets the eye. When our narrator orders a sloth through the mail, the creature that arrives isn't good at tricks or hide-and-seek . . . or much of anything. 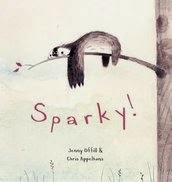 Still, there's something about Sparky that is irresistible." Publisher's Synopsis: "Midnight Gulch used to be a magical place, a town where people could sing up thunderstorms and dance up sunflowers. But that was long ago, before a curse drove the magic away. 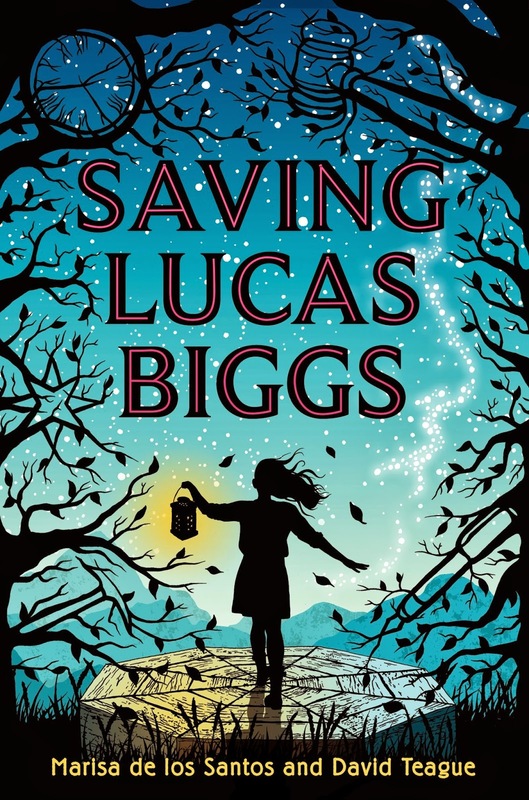 Twelve-year-old Felicity knows all about things like that; her nomadic mother is cursed with a wandering heart. But when she arrives in Midnight Gulch, Felicity thinks her luck's about to change. A "word collector," Felicity sees words everywhere — shining above strangers, tucked into church eves, and tangled up her dog's floppy ears — but Midnight Gulch is the first place she's ever seen the word "home." And then there's Jonah, a mysterious, spiky-haired do-gooder who shimmers with words Felicity's never seen before, words that make Felicity's heart beat a little faster. Felicity wants to stay in Midnight Gulch more than anything, but first, she'll need to figure out how to bring back the magic, breaking the spell that's been cast over the town...and her mother's broken heart." My thoughts: For the elementary set. Looks fun and interesting - all about words & the magic of them. Got to get my hands on this one for sure! 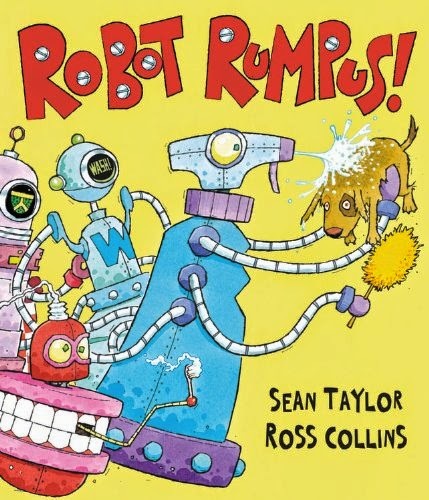 Publisher's synopsis: "When a young girl's parents go out for the evening, they think they've left their daughter in safe hands with robots designed to get her to bed! There's Cook-bot to make great spaghetti for dinner, Clean-bot to do the washing-up, Wash-bot for bath time, and even Book-bot for a bedtime story. What could possibly go wrong?" 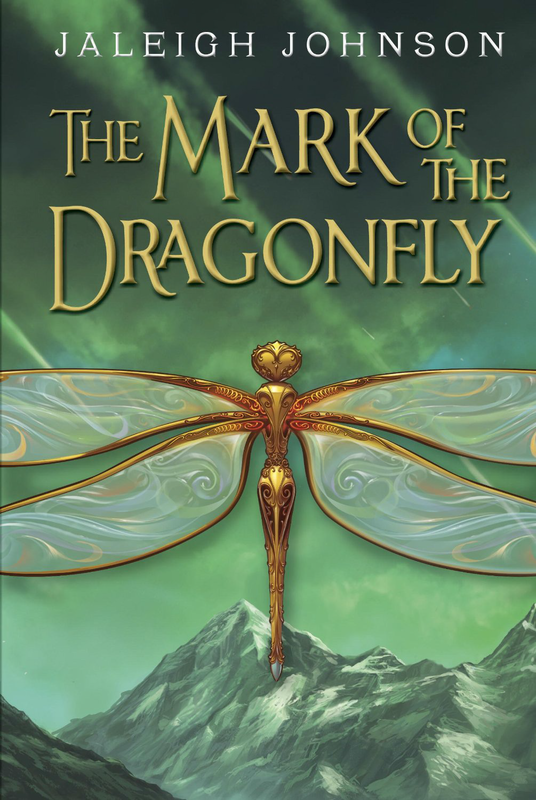 The Mark of the Dragonfly by Jaleigh Johnson. I HAVE my hands on this one and just need TIME! 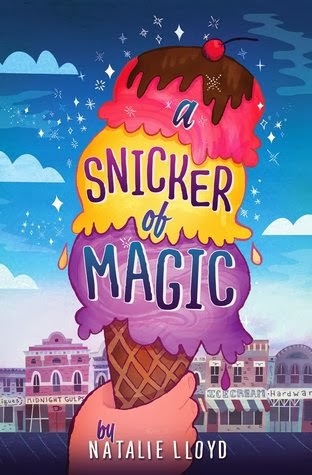 Publisher: "Perfect for fans of Margaret Peterson Haddix, When You Reach Me, and Savvy, this charming time-travel story from husband-and-wife team Marisa de los Santos and David Teague follows one girl's race to change the past in order to save her father's future. 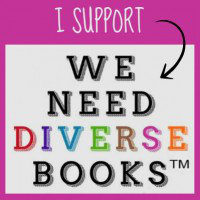 My thoughts: Well, it's compared to two of my favorite books so how can I resist? 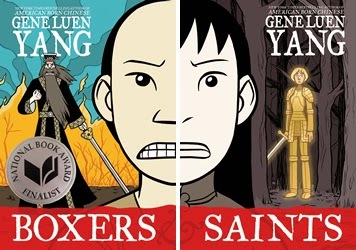 Publisher's Synopsis: In two volumes, Boxers & Saints tells two parallel stories. The first is of Little Bao, a Chinese peasant boy whose village is abused and plundered by Westerners claiming the role of missionaries. Little Bao, inspired by visions of the Chinese gods, joins a violent uprising against the Western interlopers. 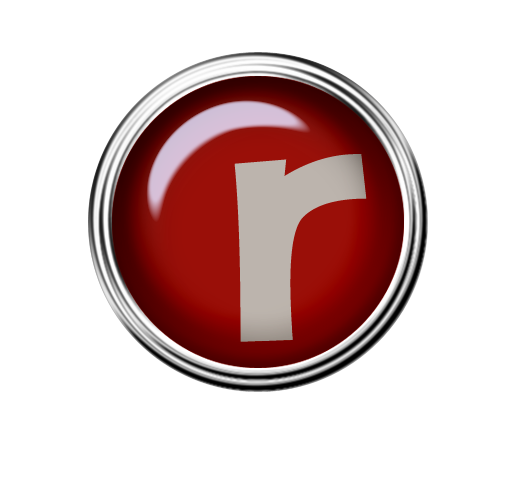 Against all odds, their grass-roots rebellion is successful. My thoughts: This looks like one of those eloquent books that always make me hold my breath as I read them. The illustrations look amazing. Reminds me of All the World . My thoughts: Poached is the follow up to Belly Up . I LOVE that book. Who doesn't? 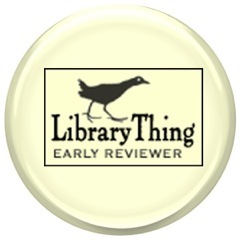 Publisher's Synopsis: A beautiful and distinguished family. 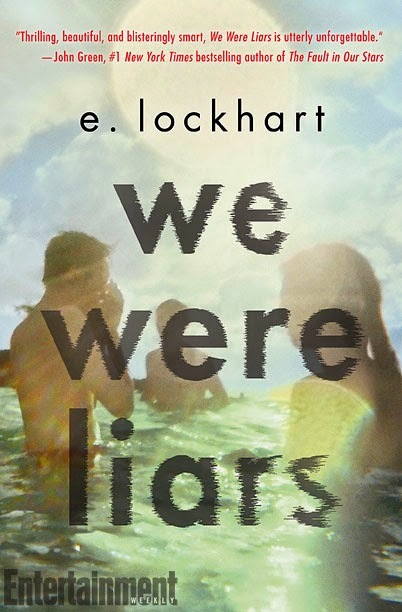 My thoughts: EVERYONE is talking about this book. It's everywhere I look! It will be one of those bandwagon books that I will be late for. Grrr. 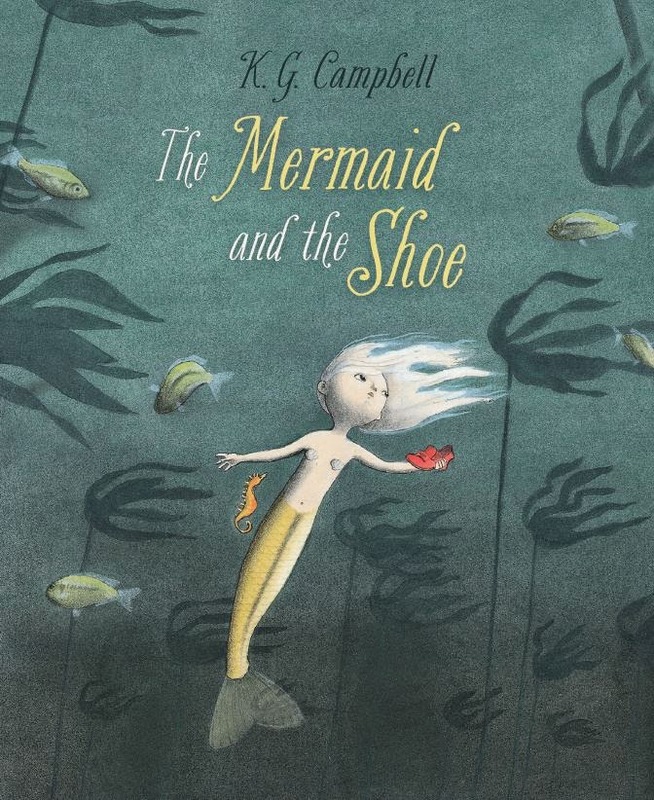 Publisher's Synopsis: Each of King Neptune's 50 mermaid daughters boasts a special talent, except for little Minnow, who seems to be good only at asking questions. When she finds a strange object, Minnow follows her questions to a wondrous place and finds answers, including the answer to the most important question of all: Who am I? A gorgeously illustrated story about finding one's purpose. Available now/ 32 pages/ Picture Book/ ISBN-13: 978-1554537716My thoughts: Don't know much about the story, but the cover art is just so inviting; I have to turn that page! 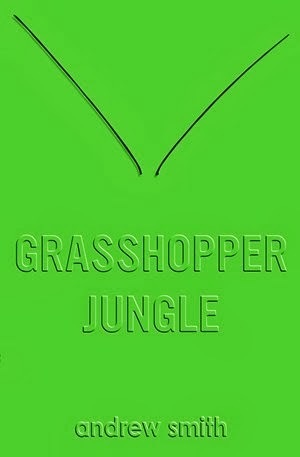 But doesn't every bandwagon reader want Grasshopper Jungle by now? Publisher's Synopsis: "In the small town of Ealing, Iowa, Austin and his best friend Robby have accidentally unleashed an unstoppable army. An army of horny, hungry, six-foot-tall praying mantises that only want to do two things. Funny, intense, complex, and brave,Grasshopper Jungle brilliantly weaves together everything from testicle-dissolving genetically modified corn to the struggles of recession-era, small-town America in this groundbreaking coming-of-age stunner."